PRICE REDUCED!! 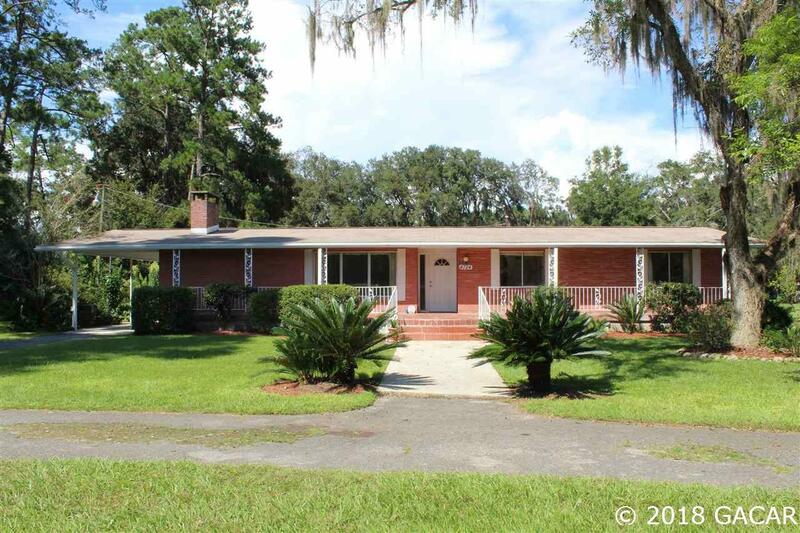 Location, location, location--this 3 bedroom, 2 bathroom classic ranch home is situated on 1.7 acres along a beautiful stretch of 156th Avenue, which is a paved public maintained road, conveniently located between Gainesville and Alachua. 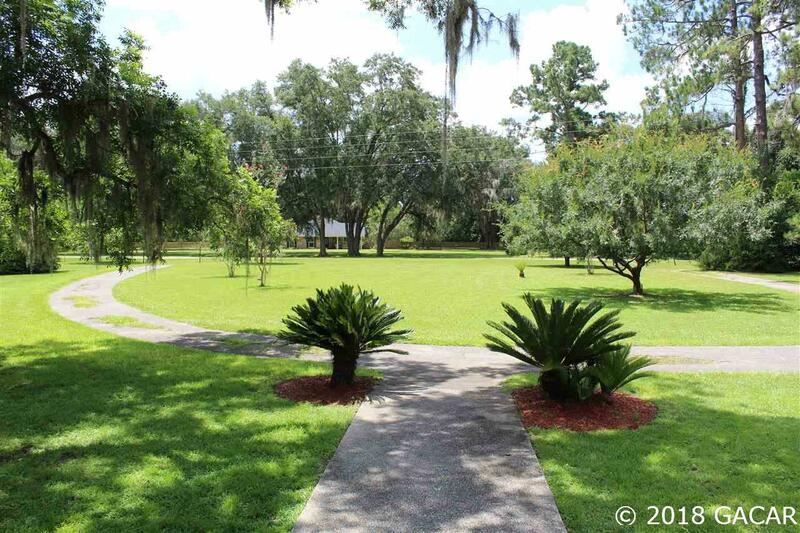 The other 2+ acres is a wooded area that does not require maintenance & is a way from the house. You could use it for animals or a barn. This location allows you an easy 10-15 minute commute to town, but you can also enjoy a quiet country-lifestyle! 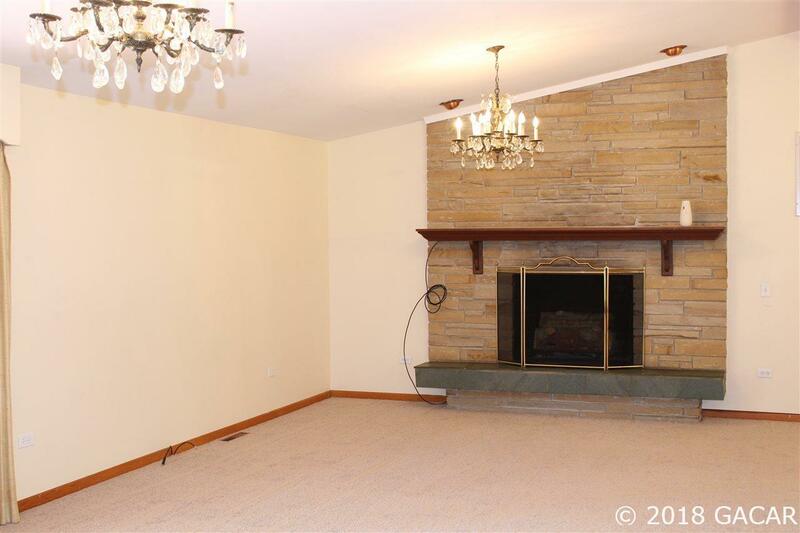 The all brick veneer home is 1782 sq ft of heated & cooled space, has NEW carpet, NEWLY refinished parquet flooring, all NEW interior doors & exterior doors, a large screened in back porch with NEW indoor outdoor carpet & outdoor sink, NEW ceiling fan throughout the home, additionally there is a gas fireplace. There is an attached carport & the house is built-quality through and through-with several major home updates- HVAC-2014, new well pump, piping, tank & controls -2015, new septic drain field-2015, roof-2010, a new hot water heater -2017 & a new survey-2018. This home also offers a transferable termite contract which has been in place on this home since the 80's. 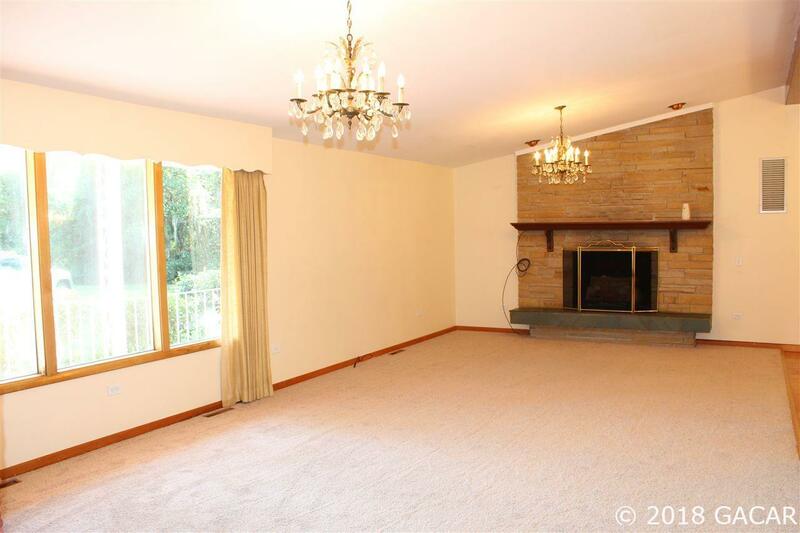 Call today to see this classic beauty!